Speak again, Cordelia: Natsumi Hayashi's "Today's Levitation" exhibition. Natsumi Hayashi's "Today's Levitation" exhibition. 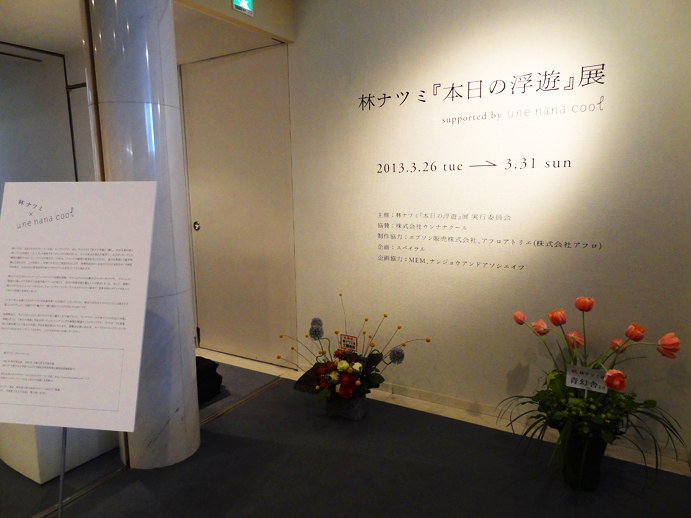 Yesterday, I visited Spiral Garden at Omotesando to see Natsumi Hayashi's "Today's Levitation" exhibition. 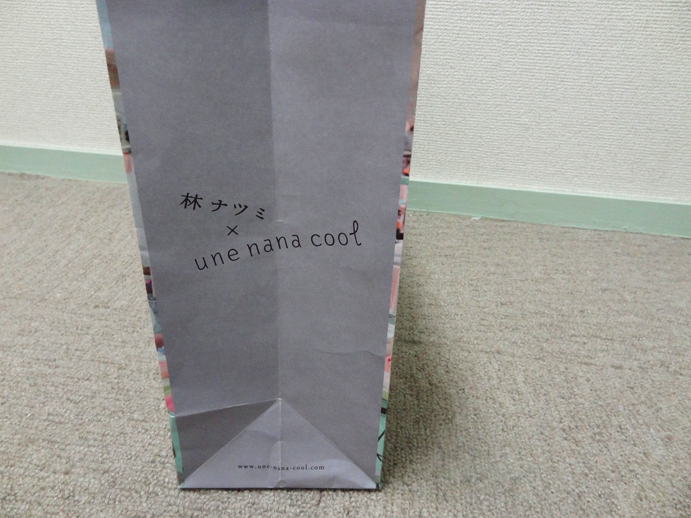 Supported by the lingerie brand une nana cool, the exhibition was only available for one week, and I was very fortunately told about it by my friend Joanne (who is, incidentally, living outside of the country). 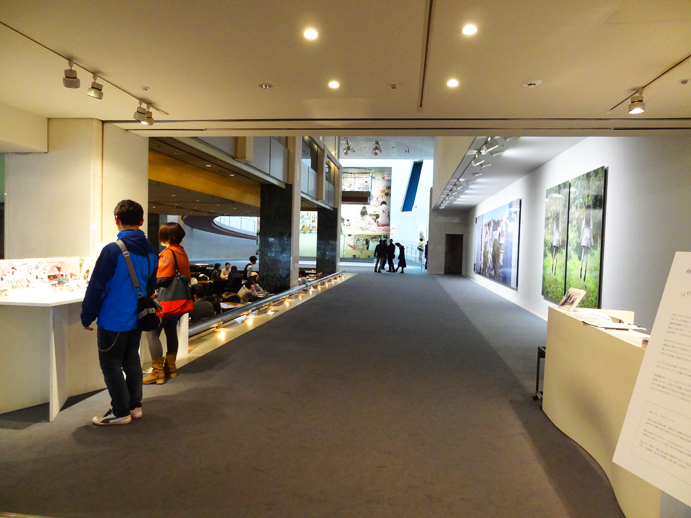 I was very excited upon hearing about the exhibition. I first saw pictures from Natsumi Hayashi's yowayowa camera woman diary last year, when it appeared in a newspaper in Hong Kong (where I was living at the time). My uncle did a search online, and that's how I came across more pictures from the "Today's Levitation" series. Being someone who also likes to take jumping pictures everywhere I go, all around the world, naturally I loved the concept. 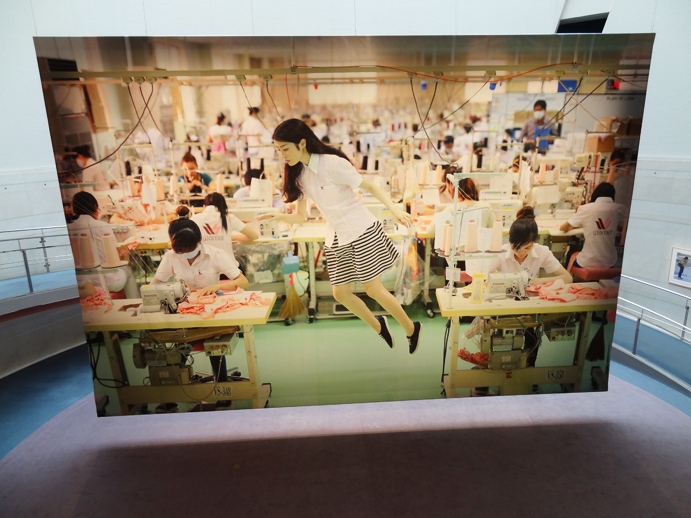 Seeing the levitation pictures on such a large scale was a fun and enjoyable experience. 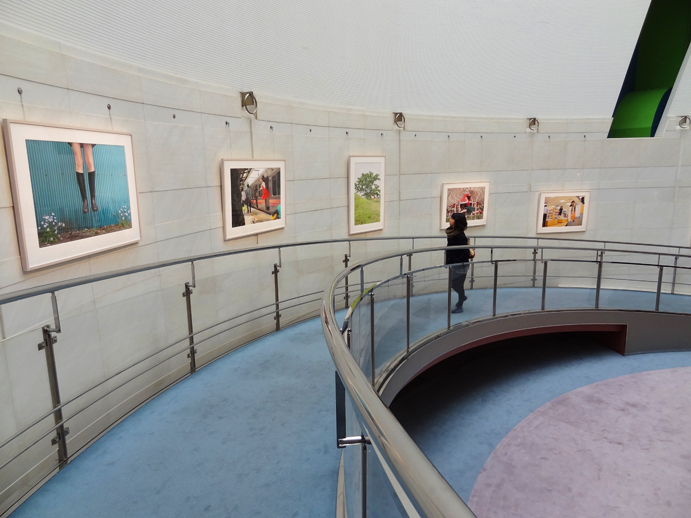 It was my first time at Spiral, but I found the building itself to provide a very soothing atmosphere, and I took my time in looking at the large prints. Natsumi Hayashi's photos give such a clean and fresh feeling of ordinary life and of nature. The exhibition was definitely an excellent start to the day! 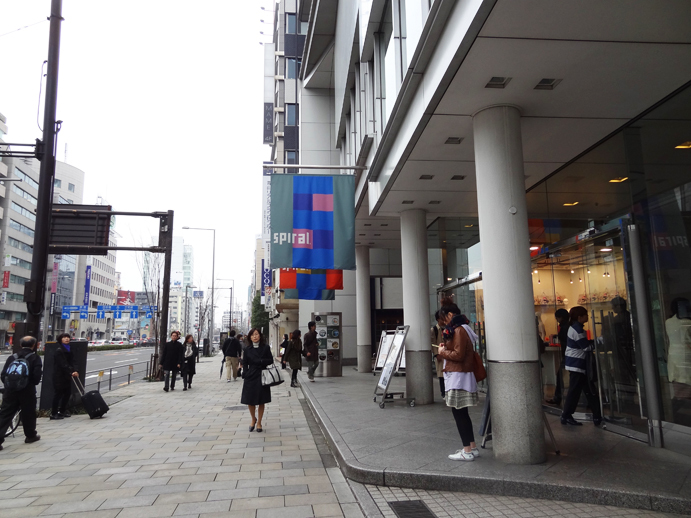 There was a small shop set up at the entrance of the Spiral building that sold Natsumi Hayashi's first photo book, postcards, some cute "Today's Levitation" themed applique, and products from une nana cool. The shop attendants were very sweet, making small talk with me and complimenting me on my skirt (it had little birds printed on it). I bought a few postcards to send as souvenirs, and they kindly gave me a limited edition shopping bag and slipped the postcards inside it. It was a little ridiculous, seeing as the huge bag was completely flat (after all, it was only holding five tiny pieces of card stock), but I transferred some other things from my handbag into it, and it was fun swinging it along the street as I went about for the rest of my day. I'm still skeptical about being labelled "hipster". I'm just spending time enjoying the nice things in life, and ignoring the boring bits!